Got an agility problem? Don't waste your time complaining. Do something about it. Need more practice on the contacts or weaves? Want to try out new ideas? Now you can help yourself. Book a workshop or a private lesson. Join an additional club or training group in your area. There are plenty of instructors and clubs around who can help you with your problems. Got training news? Then email a paragraph or two about your event to Agilitynet. If you have openings at your club for new members, go to Training Places. You can also publicise your training day, workshop or seminar by putting its details on the E-vents page. Just complete the on-line entry form on the page. 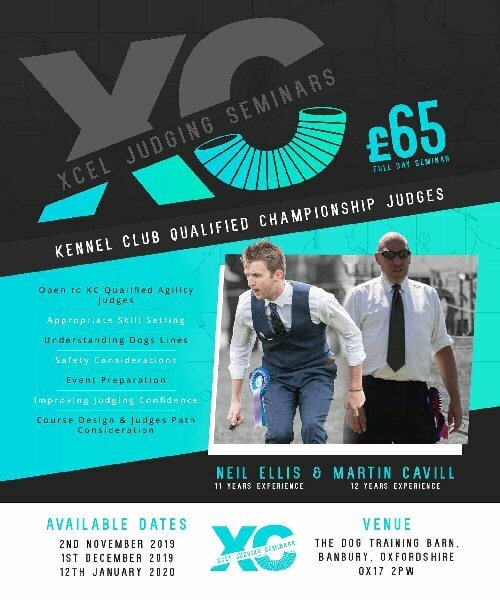 The Xcel Judging seminars, an innovative project set up by Martin Cavill and Neil Ellis, is aimed at qualified Kennel Club judges within the UK by identifying the most critical aspects of judging and how to incorporate them successfully into the planning and execution phase of your judging appointments. The first three seminar dates have been announced to be held at The Dog Training Barn (Oxon) at the end of the year. Using their own knowledge and expertise, Martin and Neil have created great evidence-based content that is transferable to judges of all levels whether newly qualified or established Champ judges. Xcel seminars are an ideal way of enhancing your knowledge base if just starting out in your judging career or keeping up to date with best practice should you already be judging regularly. Within course design, there are a number of factors that will be discussed such as skill set identification and appropriate use of these with course design, judges' path and the impact this has on your course design as well as understanding dogs' lines and discussing the troubleshooting options you can consider to make for successful course design outcomes. They will also be looking at the rules and consistency in applying them across all levels of competition, how to prepare effectively for your up and coming judging appointments and most importantly, course design and ring safety is discussed along with your responsibilities with regards to this as a judge. Paws for Success has some vacancies in their agility classes held in Herriard, near Basingstoke. The Club provides agility training in a friendly and fun environment and is designed to help handlers and their dogs have fun and bond. Training takes places outdoors on grass in fully -fenced paddocks. This venue is ideal for dog agility training in the areas of Alton, Basingstoke, Odiham, Fleet and surrounding areas of Hampshire, Surrey and Berkshire. During the last year while on maternity leave, Selena Bray had the opportunity to work with lots of people on 1-2-1s and at training days. Much of her time was spent trying to improve weaves. She realised that in almost all cases, the weaves were improved greatly by the application of a few easy to learn steps. And that's why she decided to write an ebook called Selena's Weave Excellence Workbook before she goes back to her day job. The unique ebook covers all the sequences that Selena does with her own dogs to bolster their ability to seek weave entries accurately and to develop independence during the weave and weave as well as at the weave exit. The idea is that the more time that can be built into the course, where we don't have to micro manage the dog, the better! This creates time to think and allows the handler to get away and consider other areas of the course, buying valuable think time! When Selena started agility some years ago, she admits that she hated weaves but, using her current system, she no longer looks at a course and panics. She has 99% accuracy and they are now one of her favourite pieces of equipment to train. When judging and as a trainer, she is often surprised if she sees dogs struggling. She hopes this ebook will help others to gain confidence o improve their weave skills and have hours of fun with their dog. Selena's Weave Excellence Workbook is ready to purchase now. It's £30 There's free access to 'ongoing support via Weave Excellence on-line videos' page on Facebook to maintain and continue to improve the weaves. Selena's next eBook is on distance handling, and covers layering, discrimination, handling games and fun skills to build yours and your dog's knowledge. 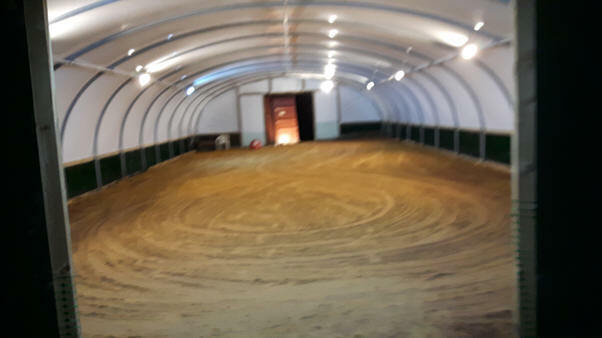 Club Equs at Sandall House Farm (Lowsonford) has recently refurbished their award-winning equestrian centre and, after a number of enquiries from dog agility and obedience clubs, they are now open to horse and hounds! With a great location 20 minutes from NEC and seven miles to Warwick and Henley-in-Arden, they are ideally situated to anyone wanting to train pre-Crufts. They are open seven days a week from 7am-9pm all year round, enabling you to train throughout the winter period. They offer a flexible package and there is the option for you to leave your equipment in our secure environment and have us set up prior to your booking or if you prefer the arena can be left empty. In addition to their outdoor paddocks and arenas, they have 66 acres of trails and fields​ and plenty of on site parking​ for club members. A comfortable guest hub has seating, a fully fitted kitchen, free wi-fi and Sky TV so if you want to hold meetings or show films, Club Equs can accommodate you. Club Equs is located at Sandall House Farm, Narrow Lane, Lowsonford, Warks B95 5HN. 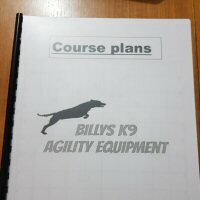 Billy Knowler has published a book on challenging but fun agility courses for handlers who would like to have a go at something different. 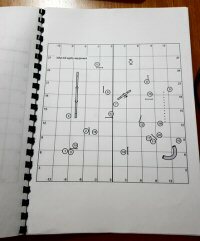 Inside this spiral bound 16 page book, there are 16 different Agility and Jumping courses for a mixture of all levels. It has a waterproof cover. A keen competitor from Kent, Billy loves agility and competes at G4. When he trains his dogs, he likes to challenge his dog and come up with new ideas for testing courses. He is training to become an agility instructor. These books are £10 each (incl postage). 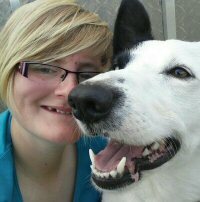 Beatrix Benton, a final year student at Harper Adams University, is doing her dissertation project on the awareness and attitudes of dog owners towards canine complementary therapies, particularly those participating in Agility and Obedience. She is looking for people to complete this short survey for her research. 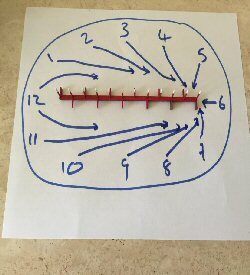 It should take no longer than five minutes of your time. Though only starting out in agility, Beatrix has been in the Obedience world a good while and has been involved in dog training and competitions from a young age. She said, 'I have grown up with an awareness and understanding of dogs which comes almost second nature to me. I recently purchased an Anxiety Wrap for my own dog and noticed that when I mentioned this to friends and acquaintances, as well as the general public, many people had never heard of them. This made me think about my own awareness of complementary therapies, and made me question whether my involvement in obedience and agility had an effect on this. Therefore, for my final year project as part of my BSc Animal Behaviour and Welfare degree, I have decided to investigate whether participation in competitive obedience and agility, has an effect on owner awareness of and attitudes towards canine complementary therapies. Newlands Working Dog Society (NWDS) currently has spaces for more dogs. We have KC qualified instructors for our group classes and have vacancies in all of our groups. We cater for all level and size of dogs and have a new Beginners class starting in February 2018. The venue Merrist Wood in Guildford (Surrey GU3 3PE) is a large, well lit indoor school with excellent surface for dogs and handlers to run on. Classes run on a Monday evening from 7:15 - 8:15pm - classes 1 & 2 and 8:15 - 9:15pm - classes 3 & 4. 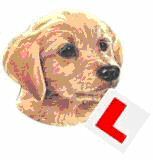 Class 1: Beginners class - For complete beginner dogs from around 10 months of age. Class 2: Competition class - dogs that are already competing at agility shows in grades 1-4. Class 3: Advanced class - dogs working at Grade 5 and above wanting to be challenged and learn different handling techniques to improve performance. Class 4: Small & Medium class - For competition dogs of all grades. The above classes all resume after the Christmas break on Monday, 19th February. Currently £45 for members and £50 for non members for a 10 week term. Beginners class is £50 for members and £55 for non members for a 10 week term. Fees are under review but will remain low as we are a Kennel Club registered group and so have a 'not for profit' ethos. Do you need to train but can't access facilities in the North West? Why not hire Pendle Dog Training Club purpose-built, secure training centre. We can offer individuals or groups indoor, outdoor and all weather surfaces agility training facilities available for days, evenings and weekends. Our equipment is new from First Contact with rubber contact points. We are based on the Lancashire / Yorkshire border between Skipton and Burnley in a rural setting. Give us a call on m. 07812 838482. Win Agility, an on-line agility training platform launched earlier this year by ACPAT Physiotherapist Nicky Grant and international handler and trainer Bonny Quick, has begun to release their Puppy Series on the web site. The four month old and five month old episodes of this month by month series are already live and ready to watch now. The Puppy Series is one of a kind, combining an in-depth understanding of what is healthy for young dogs as they develop physically with an understanding of how they need to be brought on mentally in order to become agility partners and stars of the future. It is a great way to do loads with your puppy while gradually building body awareness, co-ordination and strength while minimising the risk of causing injury or future physical problems. Bonny spoke exclusively to Agilitynet saying, 'Like many other people up and down the UK, slogging away in grassy fields week-in-and-week-out, I'm passionate about agility and work hard to continually develop my dogs. Keeping them in peak physical condition as they train and compete – without compromise – is hugely important to me. 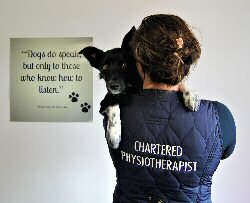 A few years before we ever dreamed of one day creating Win Agility, Nicky and I slowly forged a partnership and she became the 'go-to person' I trusted with understanding the physical needs of my agility dogs. I feel that appreciating our canine athletes from a physical as well as a behavioural standpoint is essential – it's the only way we can combine maintaining their health for the long-term with achieving their best competitively. There are plenty of agility training websites out there. Win Agility is different because of our 50/50 partnership. Nicky and I approach every project together – looking at each subject from both a best physical practice and best training practice point-of view. There is a lot of stuff on the internet at the moment purporting to be physical exercises for agility dogs. The trouble is, it often looks impressive and gets dressed up as clever tricks that anyone can teach their dog. This is where Nicky's contribution is invaluable to me because she keeps up-to-speed with the latest evidence-based research in the canine world and advises me on what to do – and not to do – with my dogs – plus what's appropriate when. To find out more about Win Agility, visit www.winagility.com where you can catch up on blogs, sign up for the newsletter and check out the latest videos. Former dog trainer Ros Reynolds has opened up her three acres of land at the back of her home as a dog park after suffering from various spinal issues that has left her with disabilities. Sutterton Dog Park & Dog Training Centre in Boston (PE20 2LR) has a complete set of Adams agility equipment which can be hired per hour. The contact equipment is not rubberised, but they are hoping to upgrade. This is available for unlimited use so can be used by a person or group. Ros told Lincolnshire Live News, 'Over the years I have noticed a lack of places for smaller shows to be held. Village halls are not taking in dogs, breed clubs are too big for village halls yet too small for the big venues which is out of their reach cost wise. So here I am sat on this land, all-purpose built. I want people to enjoy it. Seeing people here and happy is what makes me happy. 'One thing I have picked up on is that we live in the countryside yet people feel there's nowhere to take their dog for walk if they have any issues, such as being nervous or scared. Dog owners know too well that if they let a scared or nervous dog off the lead in an open park it might run off and not come back and those who own aggressive dogs are too scared to let their dog off in a public area where there could be other animals. Training is held regularly throughout the week by various clubs for Obedience and Rally. The venue is also available for hire for shows and is large enough to hold limited Agility shows. It also has a small hall suitable for seminars and indoor training. Currently there isn't an agility trainer onsite, so if anyone is interested then please contact Ros Reynolds by email or on Facebook. A few spaces have become available to train with Diamond Dogz ( Bucks ) Training is Thursday evenings at Brawlings Riding School SL90RE. Flood lite menage and training field. Please look at web site www.diamonddogz.org.uk and contact Duessa for more information. Lu Candy is looking for someone to teach agility classes at Scrambles for various levels but most pre-competition), while one of their trainers is away - and also possibly to take on a couple of classes if wanted over the winter. Tues, 5th September: 10am, 11am, 12pm, 1pm, 6.30pm and 7.30pm classes. If you are interested and could do any or all of these times and would like to know more, please contact Lu by email. Lee Gibson has designed a new Worldwide Course Challenge E-Book to finance the cost of sending himself and his dog Sadie to international competitions. All proceeds will go towards the considerable travel costs. The E-book is made up of ten exciting and highly challenging original courses to test you to the maximum! Each course is different and challenges a variety of skills. There are five top level agility courses and five enthralling jumping courses which combine international flavours and trends from around the world with speed and precision. As a extra bonus - and new for 2017 - the agility courses have a suitable judges path on them too, allowing you to hone your judges skills. You can even use some of the ideas in the courses for your own future judging appointments, if you wish! Please note... because this is a digital E-Book only. no shipping is required. It can be purchased for £14.99 from this Lee's web site and will be sent to the buyer's email account as a PDF. The FORWARD Symposium 2016 Highlights DVD is now on sale. This is the only opportunity to keep all of the valuable insights, knowledge tips and tricks in a single reference DVD from the best speakers in their field – Dr Chris Zink, Specialist in Canine Sports Medicine from the US, Natasha Wise, top agility handler and trainer, and Professor Noel Fitzpatrick, Channel 4's The Supervet, Managing Director of Fitzpatrick Referrals and Specialist Orthopaedic Veterinary Surgeon. These lecture topics and content are unique to the inaugural Symposium held on 31st January 2016, and were not repeated in 2017. The DVD costs £30, including VAT and P+P. If anyone wishes to purchase it, please email SarahC@fitzpatrickreferals.co.uk. 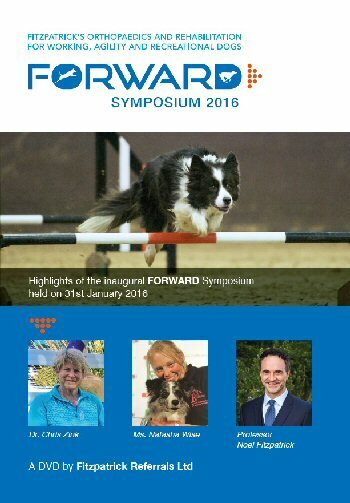 On Sunday, 5th February 2017, the FORWARD Symposium brought together over 250 delegates and 6 thought-leaders in the veterinary profession for one unique learning event in the agility, working and recreational dog calendar. Dr Chris Zink and Professor Noel Fitzpatrick presented to a community of veterinary professionals, dog trainers and handlers alike at the symposium held at Epsom Downs Racecourse in Surrey. Other speakers included Metropolitan Police Dog Instructor PC Ray Haggett, Founder of Vancouver Animal Massage Nicola Way, Clinical Director of Fitzpatrick Referrals Oncology & Soft Tissue Professor Nick Bacon, and also Fitzpatrick Referrals Rehabilitation Team Leader Fiona Doubleday who attended with her team of physiotherapists and hydrotherapists. The speakers covered a range of topics from common sports injuries, the diagnosis and treatment of musculo-skeletal conditions, massage and cancer in dogs to help delegates manage, treat and prevent injuries in agility, working and performance dogs. Dr Chris Zink also shared her key techniques to train your dog ready to compete again following injury. A significant theme throughout the FORWARD Symposium was Integrity and Transparency. 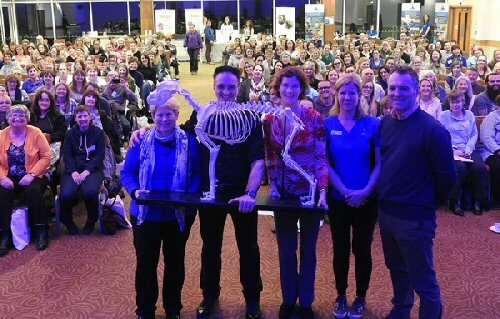 Speaking after the event, Professor Noel Fitzpatrick said: 'I can tell you from my own experience that every inch of your body is connected intrinsically, and a big theme for today was the holistic consideration of whole body dynamics and not just treating a symptom of injury in isolation. It's about conditioning and training wisely and trying to prevent injury. For more information about the FORWARD Symposium, please visit www.facebook.com/fitzforward or www.fitzpatrickreferrals.co.uk/forward. A highlights DVD of the inaugural FORWARD Symposium in 2016 is now available to purchase. Please contact Sarah on SarahC@fitzpatrickreferrals.co.uk. To register your interest for the 2018 FORWARD Symposium, please visit www.fitzpatrickreferrals.co.uk/forward-symposium-2018/. For more information about FORWARD, please visit the Facebook page. To find out more on the Fitzpatrick Referrals rehabilitation service, please visit: www.fitzpatrickreferrals.co.uk/services/rehabilitation/. Contact: Ali, Lally or Sarah at Fitzpatrick Referrals for interview requests, further info and images. Following the sell-out inaugural conference in 2016, the FORWARD Symposium is back on Sunday, 5th February 2017 with a new line-up of speakers, fresh topics and a larger venue of Epsom Downs Racecourse in Surrey. The speakers will share their world-class knowledge and advice on achieving and maintaining your dog's peak fitness, and most importantly the best options for treatment and rehabilitation to bring your dog back to top condition. Q&A sessions throughout the conference will provide you with the opportunity to ask the speakers questions you have always wanted answered. A full conference programme will be released very soon. The FORWARD Symposium is an all-day session from 9am – 5.15pm at Epsom Downs Racecourse, Surrey. Tickets are £115-£125 and include non-alcoholic refreshments, lunch and VAT. It accounts for 8 CPD hours and CPD certificates will be issued following the event. Established agility club based in East London has an opportunity for another agility club. Would you be interested in taking over the venue, and offering training on a Monday night to an existing group of agility handlers. The venue is equipped with agility equipment, and the venue has toilets and an exercise area and dog waste disposal arrangements. If you are interested in expanding your club, please contact cluckett@hotmail.co.uk so we can arrange a meeting to discuss further. 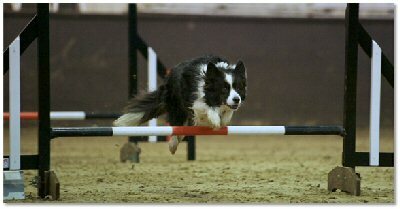 Having been training and competing with my dogs in agility for over a decade now, I'm fascinated at how things have changed and evolved in what is a relatively short period of time. I can recall doing full-height equipment with my first dogs during the first couple of months of their training, with far less than half the confidence and enthusiasm my current young dogs do when they start obstacle training today. It's now obvious to me that my first dogs were over-whelmed by what was being asked of them, and that there are better and more efficient ways of teaching dogs the agility equipment. Plus it can be a lot more fun, too! For me the best agility instructors are those who are capable of breaking down the training into manageable chunks for both dogs and handlers. They also have keen observation and communication skills when it comes to advising on handlers who are running agility sequences. Great agility instructors are people who are open-minded and always looking to learn more about our sport. Yes some are great competitors too, but competitive ability isn't always an indicator of a good teacher. Good teachers have good planning skills. Instructors need to come up with creative and inspiring lesson plans that develop the partnerships that they teach. They need to keep things fresh and interesting to keep people's attention and enjoyment levels high. They need to be flexible about the methods that they use in order that it best suits the dog and handler combination they're presented with. Agility handlers can be both young and young-at-heart, and everything in between! One size truly does not fit all. Positive reinforcement isn't just for the dogs! Instructors who mark progress with surprise rewards or certificates along the way, build loyal clients who want to stay within their training community. And it's cheaper - and arguably more rewarding - to look after existing clients than it is to constantly be advertising for new ones! Young dog owners in Devon are invited to boost their canine training skills and try out agility activities by attending a fun training day organised by the Young Kennel Club (YKC) in Okehampton. The Young Kennel Club Dog Agility Training Day will take place at Devon Dog's fantastic training grounds on Sunday, 17th April 2016. The day is open to all YKC members aged 6-24 years, whether they have experience in dog agility or are complete beginners to the competition. The day will offer members access to agility training from top agility handler, Neil Ellis. Neil has been competing in agility for the past thirteen years and has come through the ranks of the YKC, competing in the junior finals at the Kennel Club International Agility Festival on numerous occasions, as well as competing in the YKC events at Crufts for the past seven years. Neil has represented Agility Team GB at the European Championships twice, made up an Agility Champion and won a number of senior titles over the past few years. There are two sessions available: the first session in the morning is for beginners who have either just started agility or have never tried it, and the second session in the afternoon is for members who already compete in agility to improve their skills. The Young Kennel Club is the Kennel Club's group for young dog lovers aged from 6-24 and members can take part in dedicated events and activities that educate young people in the care and training of dogs in a fun and friendly environment. To find out more about the Okehampton Dog Agility Training day, please contact the YKC team: YKC@thekennelclub.org.uk. Each session costs £25, and will last 3 hours with 10 minute breaks every hour. Members under the age of 18 must be accompanied by a parent or guardian, but they will attend free of charge. To apply to attend the training day, please fill out the online form on the website: http://www.ykc.org.uk/content/get-involved/young-kennel-club-events-calendar/devon-dogs-further-info/. On Sunday, 31st January, the Inaugural FORWARD Symposium brought together three world leaders in agility, working and performance dogs at an innovative event unique to the working dog calendar. 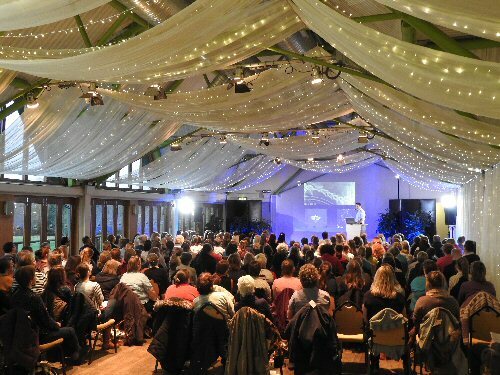 Set in the grounds of Wildwood Golf and Country Club in Surrey, Dr. Chris Zink, Natasha Wise and Professor Noel Fitzpatrick presented to over 200 delegates. Delegates were also delighted to meet the Fitzpatrick Referrals rehabilitation team who took time out of their busy schedules to join the FORWARD Symposium. Their ACPAT Chartered Physiotherapists and ABC Level 3 Hydrotherapists were in attendance to introduce the new FORWARD initiative, as well as discussing how fundamental a tailor-made rehabilitation programme is in your dog's recovery. On Sunday, 31st January 2016, the inaugural FORWARD Symposium at the Wildwood Golf & Country Club in Alfold, Surrey will explore in detail the most common musculoskeletal conditions that affect agility, working and performance dogs. This unique one day event will be headed by three world leaders who will share knowledge built up over twenty years: Dr Christine Zink, Natasha Wise and Professor Noel Fitzpatrick. 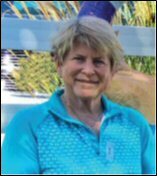 Dr Christine Zink is a consultant on canine sport medicine who lectures all over the world, and has dedicated her life to understanding the conditioning and rehabilitation of performance dogs. 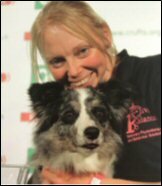 She is an award winning author of several books on conditioning, training and rehabilitation, as well as being a successful handler and competitor in her own right with many successes in agility and other sports with her own dogs. She is amongst the most qualified individuals in the world with regard to conditioning and rehabilitation. Natasha Wise is a triple World Champion, winning gold in the individual FCI Agility World Championships. She has been competing in agility for 25 years and has multiple dogs who have won at both Crufts and Olympia. Natasha has an MSc in Sport Performance and uses a Sport Science approach with her training and competition to sustain longevity and injury prevention in her canine athletes. Her large Agility Champion Maddie won her final ticket at 11.5 years old, and Dizzy at 9.5 years old has just produced some of her fastest ground speeds at this year's World Championships. She and her dog Dizzy are two of the world's leading agility stars. 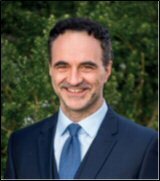 Prof. Noel Fitzpatrick has treated working dogs all of his career and is one of the leading orthopaedic and neuro-surgical specialists in the UK. He is also the Principle of the Fitzpatrick Referrals Sports Medicine and Rehabilitation Facility and he is the only RCVS approved orthopaedic specialist who is also boarded by examination with the American College of Sports Medicine and Rehabilitation. Noel is Managing Director of Fitzpatrick Referrals who are gaining a rapidly growing reputation among the working dog community for their treatment and rehabilitation back to competition of many successful dogs. Paws for Success and KATS Agility are looking for a new dog training place as their current venue is undergoing building development. This is urgent as they have been given notice. All types of venues will be considered , preferably within 10 miles or as near as possible to Fleet, Hampshire. They will even willing to consider temporary venues to last until January 2016. Watford Agility Club needs a new training venue following the announcement by Patchetts that they are closing at the end of July. They are looking for an indoor or outside venue in the North Watford/ Hemel Hempstead / St Albans area where they would be able to park a container, 20 X 8 used to hold equipment with space for parking for club members. 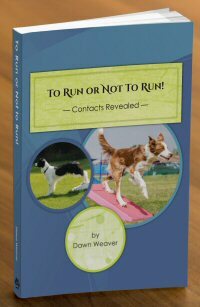 Dawn Weaver's long-awaited follow up to Knowledge Equals Speed! will be available at the end of June. To Run or Not to Run reveals everything you need to know about contacts! Twenty+ years of knowledge is incorporated in the 339 pages of this book, which covers both stopped and running contacts on every contact obstacle. Book price: £39.00. No postage if picked up at a FAB show. It had always been Deena Freeman's dream to set up a training centre but, when she first looked at the costs involved, she thought it was way out of her league. Last October, however, she took another look at the unit, sat down and worked out costs and thought 'Yes, I can do it' so she set the wheels in motion. .
Firstly she had to apply for Change of Use with the Planning Department as it was currently used as an Industrial Warehouse. This was a long winded process taking some weeks but we finally got the change of use granted in January. I had already pre-booked the astro turf flooring which was the Discover Dogs carpet. I then sourced a suitable shock pad underlay. The lease was signed on the 15th January and the flooring was laid on the weekend of the 17/18th. 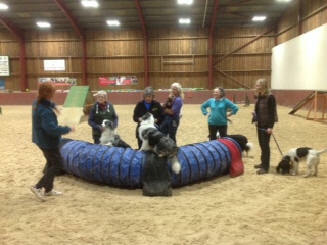 Agility classes started on the 20th January. Since that date the Centre has been very busy with normal agility classes, handlers booking the unit for preparation for Crufts, obedience and clicker training classes. All this was made possible by the support I have received from my club Chance Agility Training. Without them I would not have been able to have followed my dream. Chance Dog Training Centre is available to hire for agility / obedience / heelwork to music etc. Jump to It at Greg Derrett's Seminars! Greg Derrett, one of the world's finest agility coaches is coming to East Anglia for a pair of New Year seminars. Greg Derrett has won every major agility title in the country, some of them several times over. Now he's booked to conduct four workshops over two days in Cambridgeshire in January. Trainers Estelle Lankester of Canine Sports and Jayne Widdess of DBDT have secured Greg's services on 6th and 7th January for a quartet of Master Classes, aimed at all those who want to improve their dog's performance. The seminars and training will be held at Stuntney near Ely. On 6 January Greg will conduct seminars covering Reinforcement and Contacts and the following day he will hold practical workshops tackling Serpentines and Threadles. Greg Derrett began competing in 1990 and by 1991 had won Junior handler of the year in Great Britain with his first dog Hettie, a Golden Retriever X Border Collie. 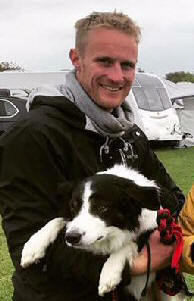 Throughout the 1990s Greg won Great Britain's Handler of the Year as well as winning Great Britain's Dog of the Year with his Border Collie, Jay. Jay was highly successful and won every major tournament in Great Britain at least once, and most of them twice including the Agility Stakes at Olympia. A succession of other great dogs harvested more prizes and he continues to compete and triumph at the highest levels today. Complementing Greg's success in the agility ring, he completed an Advanced Studies Diploma in Animal Behaviour. He has become widely popular as a seminar presenter and has travelled all over the world from New Zealand and Australia, throughout Europe, Japan and all of North America. Full directions will be sent by email upon booking Please email Estelle at estelle@k9-sports.co.uk or or Jayne at jayneywid@gmail.com for more information and booking forms. If you have an opinion on the way dogs are queued at agility events, then here is your chance to have your say. Please can you spare a few minutes to help us with our research and make agility fun for everyone, especially for OUR dogs. If we don't know your thoughts we can't help. By now some of you will be vrey much aware of the name Myerscough College and also perhaps the work they have been doing for the past four years, which is measuring the heart rate and monitoring the behaviour of agility dogs at numerous shows across the North of England. Work is progressing very well, but a vital part of this research requires input from you. Three years ago over 1000 of you filled in a questionnaire for Stephanie Fleig who, at that time was studying for her Honours Degree. That was a huge number of responses, so thank you to everyone who responded. Now Stef is hoping that you can do the same for her with her new survey...this time for her Ph.D. It is just a short multi-choice questionnaire which should take about 4-5 minutes of your time. Acquiring your thoughts and opinions is a vital part of Stephanie's work which is to see if her research can help improve any aspects of agility. Stef already has had 650 responses from a posting on Agiitynet FB but she is hoping to beat the 1000 mark to make the research all the better. When you have a spare moment, please click on the link below and complete the survey. help out with this ground-breaking piece of research. Looking for the winning edge? The Kennel Club Canine Sports Science Seminar will be returning this November, further to the success of the previous seminars held regularly since 2007. The 2014 seminar is scheduled to take place on Saturday 8th November at the Kennel Club Building in Stoneleigh Park, Warwickshire. Led by professionals from the world of canine health, treatment, training and nutrition, the Canine Sports Science Seminar aims to help handlers, instructors and trainers get the best performance from their dogs, with an emphasis on avoiding injuries and taking a holistic approach to the care of canine athletes. Each delegate will have the opportunity to attend all of the above sessions. Marge Chandler will be the first speaker, and all delegates will attend her session together. The last three presentations will take place after lunch and will be conducted in smaller break out groups, with delegates rotating between them. The day will be concluded with everyone coming back together for an open discussion, which will allow attendees to ask the speakers any questions that they may have. Delegates are encouraged to book early, with an early bird discount price of £80, including lunch and refreshments, available if booked by 31st August. There are discounts available for Kennel Club Members and students studying a relevant subject. To find out more information and to download the application form, visit: www.thekennelclub.org.uk/activities/canine-sports-science-seminar/. Please note that pre-registration for this seminar is essential as there will be no tickets available on the day and applications must be received by Friday, 3 October. Dog Learning Zone (DLZ), a professional dog training, behaviour and therapeutic care centre on the Norfolk/Suffolk border, is planning to hold a series of workshops aimed at introducing nervous, reactive or just highly distracted dogs to agility. The idea is partly to use the agility as a remedial tool to overcome behaviour issues and partly to use a specialised set-up to help dogs that are easily distracted (e.g. by movement) to focus on their agility and their handler. It is a frustrating fact that many of the dogs that really need agility as a positive outlet for their drive and attitude are unable to be part of the busy, often noisy, environment of a group class. Agility is a great way either to increase the confidence of a nervous dog or to divert the high work drive of a serial chaser/herder into a harmless channel but, so often, these dogs are never given the opportunity to learn. They are so stressed by the activity surrounding them in a class that they cannot concentrate. The negative aspects of the environment can thus outweigh the positive effects of the activity. They become disruptive and upset the other dogs and handlers in the group. With these factors in mind, DLZ plans to hold a series of one day workshops. The number of dogs and handlers taking part in each workshop will be small with success relying mainly on controlling the environment to give the dogs a chance to learn and enjoy themselves. There will never be more than one dog off-lead and/or working in the agility area at a time. Dogs and handlers will be in an indoor arena but out of sight of the agility activity and of one another. As the workshops progress, low level distractions will be gradually introduced at a distance from the agility area and then slowly brought closer, all the while ensuring that the dog working on the equipment can still concentrate on the task in hand and shows no signs of stress. The agility will form an integral part of an overall behaviour improvement programme for the dogs in the workshop. Other aspects of the programme will include Tellington TTouch bodywork and groundwork to help with focus and relaxation and other proven behaviour modification techniques. DLZ is the brainchild of Elaine Brown who is a training instructor and behaviour practitioner and has a pool of experienced people with the joint expertise to run this programme – an Agility Club Approved Instructor, a second qualified behaviourist and a certified Tellington TTouch practitioner. DLZ have been running specialist behaviour classes to help reactive dogs since 2009. Once these dogs have been through the Reactive Dog Group programme, their owners long to have something else to do. Agility would be an ideal activity for them. These dogs desperately need an opportunity to use their energy and brains but they would never cope in a normal agility class. This knowledge, coupled with the experience of DLZ's agility instructor Sue Smith, led to the birth of the TAg workshop programme. Sue had worried over the years for the dogs she couldn't accommodate in DLZ's ‘normal' agility classes because the environment was causing their behaviour to worsen rather than improve. A precedent has been set in the USA where Teamworks Dog Training TM have been successfully running ‘Therapeutic Agility' classes since 2008. DLZ hope to follow their example but the continuation of this new venture depends on the interest received. DLZ very much hopes that the workshops will enable all dogs to reach their full potential and allow some to go on to take part in 'normal' agility classes and some just to have fun and learn to enjoy agility whilst building a better partnership with their owners. The British Institute of Pet Dog Trainers (BIPDT) has over the last year been working on the development of an agility test for dog owners whether participating for fun and fitness or competition. The purpose is to give encouragement and focus to agility training for all shapes and sizes of dog from small through to giant, with owner and dog gaining a certificate for each level of achievement. The National Code Agility is not a competition. It is to demonstrate that the handler/owner has the ability to control their dog whilst negotiating various agility obstacles. Assessment is based on the dog's response to their owner – the dog is under control and not a nuisance to others whilst on and around an agility environment. In all exercises, uncontrolled jumping-up, lack of response or the use of food will be a failure. Handlers can use Voice commands, encouragement and signals. Contact equipment and the table may be used at training heights/widths, but not garden equipment. Jumps heights can be reduced for individual dogs by one level (against their height level category), if they are aged seven years and over or weigh three times their height or more. This is a practical test demonstrating that the dog can be examined and showing no undue resentment prior to training taking place. The examination should be sufficient to pick up any issues that may affect the dog's ability to run the course. 1. Vehicle safety – Collar and lead put on before getting out, waits, gets out on command. Getting into vehicle dog waits quietly until handler indicates to get in, lead taken off when safely in vehicle. 2. Control around people and dogs – dog/ handler to be stood or sat close to others – to show no more than a casual interest with no whining/barking/pulling on lead etc. 3. Warm up – The dog is released to play min. 2 mins. Handler can throw a toy, dog then called to hand, put back on lead ready for the next exercise. 4. Wait – Dog off lead in any position, handler to walk around dog and return to side. Dog to remain in position until released by handler. 5. Control off lead - Change of direction and halt/s (position handler's choice). Dogs to be worked on both sides. Markers and poles may be used. 6. Pipe Tunnel – Handler not to move forward of entrance until dog has entered. 7. Channel Weaves – Toy or other marker may be used at the end of the weaves, maximum of 7 to be used. Distance between weaves should be adjusted to accommodate different breeds of dog. 8. Contact Points – Dog to touch a contact point and remain until released. To test the handler's knowledge the Examiner will discuss various aspects of dog care with them. Coat & Skin – Handler should feel all over dog checking for matts or skin blemishes before grooming. Head – Eyes, Nose, Ears – Handler to be able to examine and clean if required. Feet & Nails – Front and Rear – Dogs can be very sensitive about having their feet touched handler to show care..
2. Control around people and dogs – dog/ handler to be stood or sat close to others, waiting their turn to run and to show no more than a casual interest with no whining/barking/pulling on lead etc. 3. Warm up – The dog is released to warm up min. 4 mins. Handler can use a toy and markers and poles. 4. Wait – Dog off lead in any position, handler to walk around one jump and return to dog's side. 5. Control off lead - Handler is not to impede the dog working the course. 6. Pipe Tunnel – tunnel to be in a ‘U' shape. 7. Channel/Guide Weaves – Toy or other marker may be used at the end of the weaves, full set to be used. Distance between weaves may be adjusted to accommodate different breeds of dog. 8. Control over jumps – Minimum of 5, maximum of 7 jumps at no higher than medium - 5 of which should be in a straight line. 9. Contacts – Dog to negotiating either the A frame or dog walk. 10. Tyre - Can be included in the jump numbers for the test but must be in excess of the 5th jump. To test the handler's knowledge the Examiner will discuss various aspects of care with them. Handler should fully examine the dog before working. 4. Walk the Course – Dog is to be tethered whilst the handler examines and walks the course. 5. Wait – Dog off lead in any position. Dog to remain in position until released by handler. 6. Control off lead - Handler is not to impede the dog working the course. 7. Pipe Tunnel – Can include left or right hand entrance. 8. Weaves (straight line) – Toy or other marker may be used at the end of the weaves, maximum of 7 to be used. Distance between weaves may be adjusted to accommodate different breeds. 9. Instant Down – Dog to enter pause box/table and remain in the down for 5 seconds. Examiner is looking for a quick response, stopping when commanded and remaining still. 10. Jumps - A series of no less than 10 jumps which may include the tyre, including change of direction. Jumps should not exceed medium height for dogs measured as large. 11. Contacts - Dog to negotiate see saw plus either A frame or dog walk. 6. Control off lead. Handler is not to impede the dog working the course. 8. Weaves – Full set of 12. Distance between weaves may be adjusted to accommodate different breeds. 9. Instant Down – Dog to enter pause box/table and remain in the down for 5 seconds. 10. Jumps - A series of no less than 15 jumps which should include the tyre and changes of direction. Jumps to be at standard heights. 11. Contacts - Dog to negotiate a full set of contacts. NB: The BIPDT does not endorse the tying up and leaving a dog as a general practice. The test is to determine if the dog can be left alone (without causing a stressful reaction) whilst the handler walks the course. When dogs are being tested off lead every effort must be taken that the area is safe. Want to improve your instructional techniques or add to your knowledge? Have you achieved an academic qualification but need to attend a practical Course? The BIPDT holds a residential week-long dog training instructor's course twice a year, covering the disciplines of Obedience, Working Trials, Agility and Field Trials. There are four grades of excellence offered in each of the disciplines. The courses are held at the excellent venue of Harper Adams University, Newport, Shropshire where you reside in student accommodation for the week. When you retire for the evening dogs are allowed in your room, although they should be fed outside. The course includes three great meals a day plus and tea/coffee break in the morning and then again in the afternoon. There is a small shop on site which should be able to provide anything that you have left at home or forgotten or alternatively you can make you way into the nearby town of Newport. As this course is about improving your instructor techniques, you will learn a variety of methods from students taking other disciplines i.e., Field and Working Trials dogs are also required to jump although it may be a ditch or a fence rather than a more formal jump. During the week all of the dog and handlers on the course will have the opportunity to have a go on agility irrespective of the discipline, and many enjoy it so much that they go away to look for an agility club to join. We like to give our agility students the opportunity to help run these sessions along with one of the course instructors. This is a certificated course which is based on a test at the end of the week judged by external examiners.